The 2012 Major League Soccer season is coming to an end. Playoffs are around the corner for the clubs that are good enough to reach it. But also an item that gets lost in the shuffle some seasons is the award races. Some are clear and dry (like rookie of the year), others are not to much (defender of the year). I’ll get to the other awards as I can this week and into the next before the voting kicks off for the media. But today I wanted to focus on the big one, the MLS MVP award. To me this one is a clear three-horse race with one guy clearly out in front. Below are my top three for the award, similar to how I would vote today if the ballot came in my inbox. If there was ever a time to secure an award it would be late in the year. 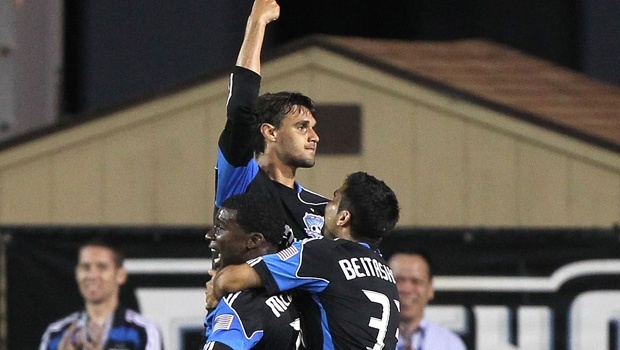 Chris Wondolowski has the stats, his 25 goals are easily leading the league and then some. He’s scored more goals by himself that one club has all season. He’s just two goals shy of the league’s all-time mark for goals scored in a single season (held by Roy Lassiter). The guy is just a winner, plain and simple. San Jose is an impressive 15-2-4 this season when Wondo scores a goal or assists on one. Not bad, definitely a guy you can claim as “most valuable”. He gets it done against good teams as well as the bad ones. But most of all this has been his award to lose for the better part of three months in my book. He cooled off in August but once the fall hit, he turned it on again. This could be a shocker to some folks that don’t pay enough attention to Sporting Kansas City but Zusi is the engine that drives that club. For those wondering what his value is to Sporting KC, it’s simple, KC is 12-1-3 when Zusi scores a goal or gets an assist. Not bad at all folks. What I love about Zusi is how he gets it done against the big guns in MLS. He has three goals and eight assists this season against teams in playoff contention (or those that have already clinched a playoff berth). He’s got a ton of work to do in the last two games to even have a shot of passing Wondo in my book but he deserves to get plenty of attention for this award. Some folks will laugh at this one but the point should be made, without Brenier in the middle of the midfield for Montreal, the Impact would have not had a successful expansion season. Brenier’s nine goals and eight assists have him near the top of the league in the combined stat category. In games that Brenier has scores or assisted, the Impact are 8-2-0. Robbie Keane (LA) – Let’s face it, Keane has been the one constant for the Galaxy this season. His 15 goals and eight assists are impressive to say the least. When Keane is in the starting lineup, the Galaxy are 13-7-6. Without him starting, the Galaxy are 2-4. Alvaro Saborio (RSL) – He’s got 17 goals, which is very impressive. But he’s padded those stats in a big way against weaker clubs. Only three of those goals have come against playoff contenting teams. 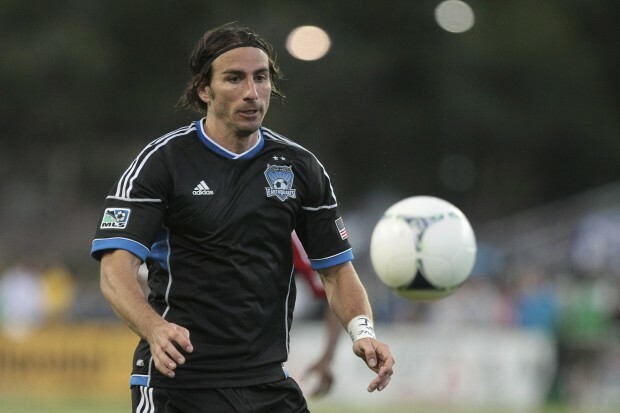 Still, without him RSL would have very little to show for offensively. Thierry Henry (NY) – You have to mention Henry in the MVP discussion. His 14 goals and 12 assists are extremely impressive. But what doesn’t put him on the top of the list for me is the fact that he’ll miss games when they are played on turf (yeah, I get that NY fans but it’s still lame) and how he doesn’t particularly do well against the better clubs in the league. And NY’s record without him in the lineup is worth noting, they’re 5-2-3, meaning his value isn’t as high as some think. David Ferreira (FC Dallas) – Injuries may have ravaged FCD’s season this year but they’d be no where near playoff contention had it not been for the return of Ferreira. His two goals and seven assists have been a catalyst for guys like Blas Perez and Fabian Castillo to step up. What won’t get him in the running is the fact that FCD will likely miss the playoffs unless he has a stellar final two games and Vancouver slips up twice.